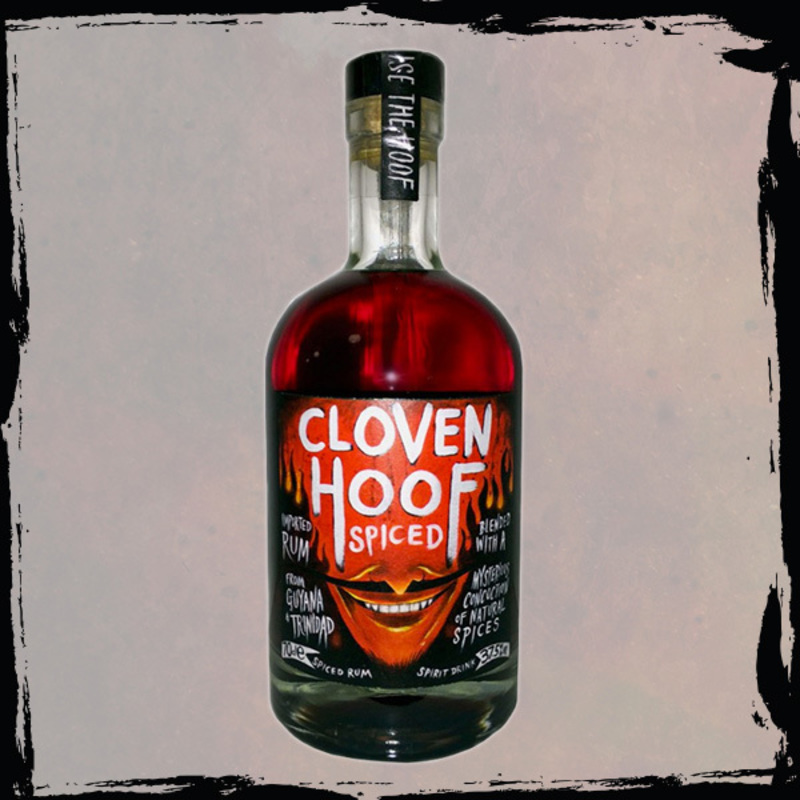 Have you found an online vendor selling Cloven Hoof Spiced? I'm not a big spiced rum guy, so I was hesitant to try this one, but I'm glad I did. The makers of this rum (which is a blend of Guyanese and Trinidadian), frustrated by a spiced rum market saturated with syrupy vanilla bombs, set out to create something different (though they held onto the strong, "fun/dangerous" brand tropes). The end result is decidedly spice-driven, not vanilla! Think heavy cloves (see what they did there? ), cinnamon, and other "winter" spices. This stuff would be ideal with hot cider, mulled wine, cola, or for a quick spiced cocktail. Full on flavour without the usual sweetness of spiced rums. Its a more refined tast that says it all. Spiced & Rum. They got the blend right without over emphasising anyone thing. OK Cloves maybe but its a nice quirky change from vanilla and caramel alone. I deff want more, and will enjoy neat and mixed. Great tasting spicy rum. Can definitely taste and smell cloves, so no good for you if you're not a fan of cloves. Slight burn, but really tasty. I think it may mix well with coke, but do far have only had it straight. Recommended. Cloven Hoof is the one mainstay in my drinks cabinet due to its popularity with my family. I love this rum on its own with a few cubes of ice as well as mixed with a premium ginger ale / beer. It's a smooth, spicy rum that's so easy to drink you sometimes forget how strong it is. If you're going to try one new rum this year then make it Cloven Hoof! I must confess to not being a big rum drinker or a fan of cloves, but this is absolutely wonderful. Lovely as a sipping rum but works equally well in a cocktail. It’s beautifully smooth and the flavour has real depth to it. It’s replaced whisky as my night cap of choice. Love it the spices, very unique taste, not your usual vanilla stuff. Sampled this spiced rum at the Cardiff Rum Festival. Produced in the UK. Cloves and allspice are the predominant spices in this rum blend. It's powerful, sweet and aromatic. If you love spiced rum you will love this. I tried this at a rum festival for the first time and was completely overwhelmed and intriguied by the smell, smoothness and flavour of it. It leaves no aftertastes and is refreshing to drink.